In the times that we live in there are so many things to be fearful of. All you have to do is turn on the t.v., radio or peruse online to be thoroughly freaked out. I honestly avoid watching the news because I just can not handle it. I have enough that fills me with fear and worry right here at home. Of course I don't want to be oblivious to what's going on in the world but I also want to keep my eyes fixed on Jesus. As a follower of Christ I don't have to live in fear, I don't have to be a slave to it. As believers we have a hope beyond this world. We have the hope that Jesus is coming again to make all things new. We have hope that he is with us no matter what circumstances. We have hope that he cares about the little and the big trials that we deal with daily. 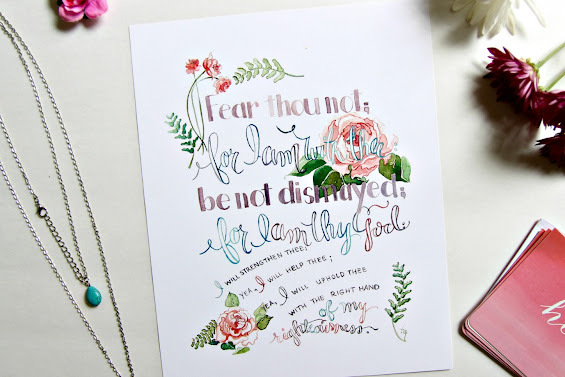 I am so excited to be giving away this beautiful 8x10 print from Tori at light and truth to give you a daily reminder to fear not from Isaiah 41:10!!! I have been following Tori on instagram for quite a while and have been so encouraged by her posts where she uses her God given talents to glorify him and encourage others. Tori has been so generous to give me one of her prints to giveaway to my readers!! If you have followed me long enough you know that I love to put beautiful prints and reminders of God's word around my home. I hope that this print will be a blessing to you as you encounter difficult circumstances in your life to remember that there is a God that is able to strengthen you and uphold you through it all. This verse is very comforting to me as it was the verse that I remember my Dad sharing with me before he died. Now when I am going through an extremely hard time I recite it to myself and know that God is with me and will help me! But I don't have to fear because he is with me!!! What are some of the circumstances that fill you with fear and worry? How do you find strength and help to get through them?? 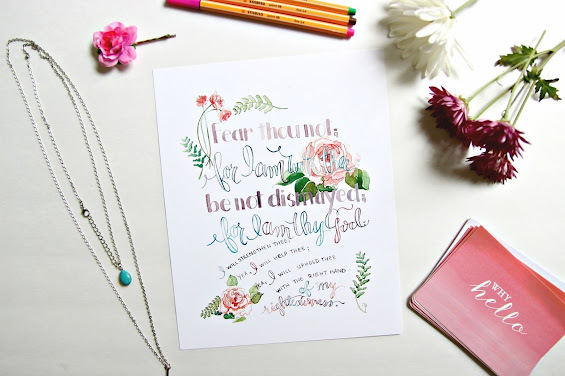 Not only am I giving away this beautiful print to one of my readers but I am also giving away a beautiful necklace, note cards, Stabilo pens, and a pretty flower clip just because I love giveaways!!! 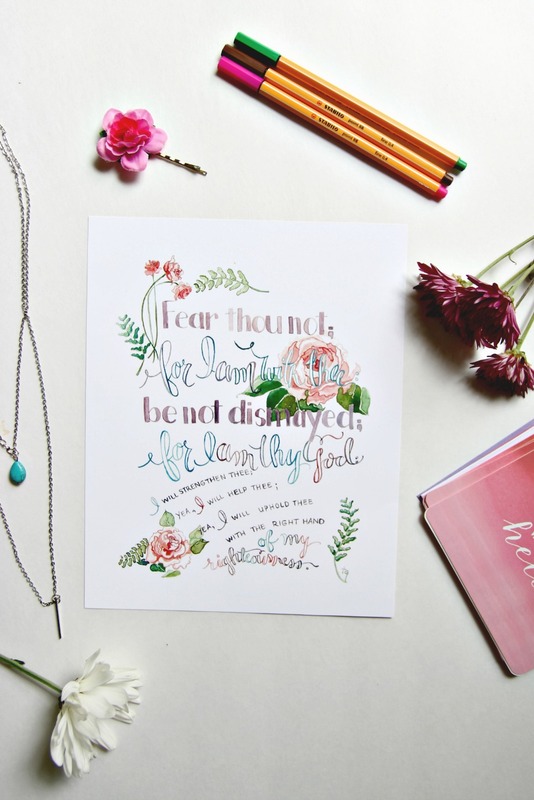 Be sure to check out Tori's shop for more beautiful and inspiring prints!! Must be 18 or older to enter and sorry only open to those in the continental US. Giveaway starts 8/9/16 and ends 8/16/16. Winner will be announced and recieve an email to confirm. A reminder to lean into and on the Lord. I do not watch the news much and find that even that on the internet is too much, but I try to limit all news and worldly stuff because it truly is a fearful world we have all around us. I do not like to live in fear either. Thank you for this encouraging post. And for directing me to Tori's Instagram. I have never been on Instagram and now will need to meander over there. Hey Linda! So glad you were encouraged and I you definitely should check out instagram, so many great accounts! Hi Rebekah, even though I'm not eligible for the giveaway, I'll happily share it for you. You and Tori have put together a great giveaway. Good luck to those entering. 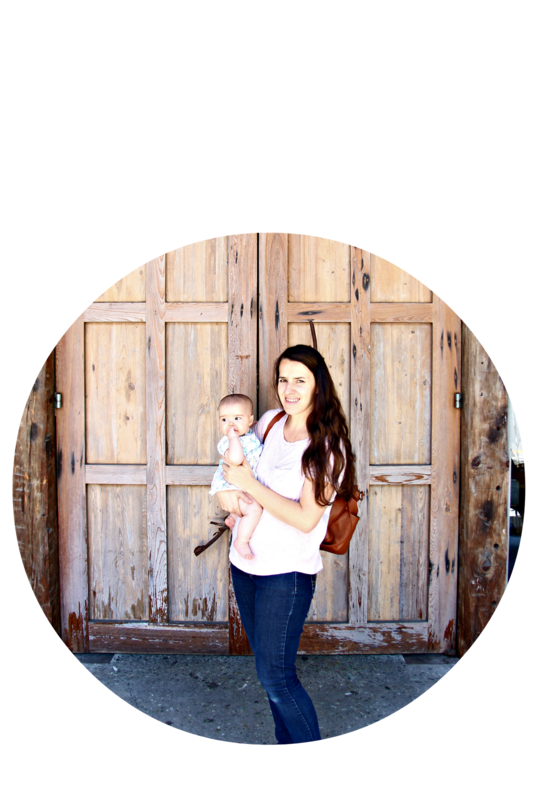 Thanks for sharing with us all at Family Joy Blog Link Up Party. Hope to see you next week! This is a beautiful print and a favorite verse of mine! Praying for you friend that your journey is filled with unexpected comforts and encouragements as you cling to the promise of this verse.